Online psychotherapy via Skype to help you better manage anxiety and depression and to find greater happiness and well-being. Contact me if you would like to schedule Skype therapy sessions with me. During these sessions I will teach you how to use mindfulness for recovering from all forms of anxiety, depression and other emotional problems. This approach is very effective and most people see significant improvements after 3-4 sessions with me. Online Mindfulness-based Skype Therapy is extremely effective for overcoming anxiety and depression without relying on drugs. It is better to treat the psychological cause of your anxiety or depression instead of just trying to manage symptoms. Skype Therapy is becoming increasingly popular as an alternative to in-person psychotherapy partly due to the greater convenience and comfort of being able to conduct your therapy sessions from home or work, but also because more and more people are interested in self-help and taking charge of their own well-being by learning how to better manage anxiety, depression and other forms of emotional suffering without resorting to medications. Sometimes medical treatment may be necessary, but that is seldom the case for most people who are simply struggling with the challenges of life and relationships. Please feel free to contact me if you would like to try online therapy with me. Online psychotherapy has been around for many years, but the more recent advances in technology now make it quite easy to conduct online therapy with video through Skype, Face Time, Zoom and other video conferencing platforms. The video element makes online therapy as good as in-person therapy sessions. From my experience over the years I see no difference in efficacy between the two, and indeed, Skype therapy may be more effective for many, especially if you are suffering from anxiety or agoraphobia. Skype Therapy: Online therapy sessions via Skype – Talk to a Skype Therapist for help with Anxiety or Depression. Contact me to schedule a Skype therapy session. I will be happy to answer your questions about seeing an online therapist via Skype, and when you feel ready, you can schedule a therapy session over Skype with me. Online Mindfulness Therapy is an Excellent Choice for Healing emotional-psychological suffering because it addresses the underlying cause rather than just managing symptoms. Learn practical mindfulness methods to help you overcome anxiety and depression. Talk to a Psychotherapist Online via Skype for effective online treatment for Anxiety, Panic Attacks and Depression, Social Anxiety Disorder and Agoraphobia, Obsessive-Compulsive Disorder (OCD), Addictions, including eating disorders, Post-traumatic stress or any psychological problems that do not require medical treatment. Contact me to find out more about this online counseling therapy service and to arrange for a online therapy session with me. This online counseling service is available throughout the USA, UK and Western Europe and world-wide. All you need is a good internet connection and you can start online therapy with me. Traditional talk therapy can be beneficial, but often it does not transform the the underlying process that creates your anxiety and depression. The same can be said for medications – the medication may provide a temporary relief from symptoms for a while, but medications can not change the underlying process that causes the emotional suffering. The style of psychotherapy that I provide is called Mindfulness Therapy, which can be extremely effective for managing chronic anxiety as well as for treating depression and other psychological issues caused by conditioned negative thinking. Most people see quite significant changes after 3-4 sessions of Mindfulness Therapy. Welcome! My name is Peter Strong and I provide Skype therapy as an alternative to conventional in-person therapy sessions. many people prefer the convenience of Skype therapy and also they prefer the greater privacy and anonymity offered by online therapy sessions. The style of psychotherapy that I provide online is described on my website and is called Mindfulness Therapy, and this is a very good choice if you are struggling with patterns of emotional reactivity and reactive thinking. If you want to overcome long-standing patterns of habitual emotional reactivity then Mindfulness Therapy is a very good choice, indeed. It teaches you how to essentially break free from that compulsive drive to react, so that you can break free from those habitual patterns of emotional reactivity. Emotional reactivity is really the governing principle behind anxiety and depression and addiction as well and many other common emotional problems that we experience. These are essentially habits, habits of emotional reactivity and cognitive reactivity that can be changed by using the methods of Mindfulness Therapy that I teach online. So, if you would like to learn more about Skype therapy and Mindfulness Therapy for overcoming anxiety or depression, please go to my website, learn more about online therapy and this process and then contact me to schedule a Skype counseling session with me, and we can begin the process of helping you break free from habitual patterns of emotional reactivity. Most of my clients see quite dramatic improvements in anxiety or depression particularly after 3-4 sessions. I teach very practical mindfulness-based methods that you will be able to practice by yourself between sessions to develop more and more freedom from habitual reactivity. So, please CONTACT ME and let’s schedule a trial Skype therapy session. Thank you! If you wish to talk with a psychotherapist online, then EMAIL ME to learn about Online Psychological counseling over Skype for eliminating anxiety and depression, addictions, OCD, Post-Traumatic Stress Disorder, Emotional Trauma and other varieties of emotional suffering not requiring medical treatment. Standard counseling can be helpful, but often it does not transform the underlying structure that is the real cause of your depression or anxiety. The same can be said for medications – the medication may relieve symptoms for a while, but medications will not are not effective for transforming the underlying cause that produces the emotional suffering. The type of psychotherapy that I provide is known as Mindfulness Therapy, which can be extremely powerful for handling chronic anxiety as well as for treating depression and other common psychological difficulties resulting from habitual reactive thinking. Most of my clients notice quite significant changes after the first couple of sessions of Mindfulness Therapy. Welcome. 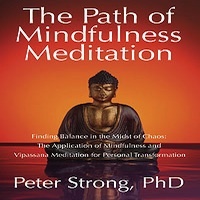 My name is Peter Strong and I am a mindfulness-based psychotherapist, living in Boulder, Colorado, and I provide Skype Therapy for the treatment of anxiety and for help with recovery from chronic depression and also for help with addiction recovery. If you would like to talk to a psychologist online who specializes in mindfulness therapy then please simply go to my website and send me an email and ask any questions you have about mindfulness therapy and this approach and how it can help you with your specific needs. Generally, online therapy is very effective indeed, especially for anxiety and non-clinical depression. It is a much better alternative than years of talk therapy or other treatment-based options because Mindfulness Therapy teaches you specifically how to change your emotional reactions. All emotional reactions are basically habits and all habits can be changed when you bring more consciousness to them. So, when you apply mindfulness to an emotional habit like anxiety or depression it changes, and it makes it much more effective in what you do in trying to help that anxiety or depression resolve and heal. Basically, the most important thing is to build a mindfulness-based relationship with your emotions, based on consciousness and compassion. These two qualities are what really characterize mindfulness; it’s much more than just awareness. Most people are already aware of their emotional suffering, but they are not necessarily conscious of the emotional habit, the underlying process that creates their anxiety or depression. This consists of habitual reactive thinking and habitual reactive behaviors and also habitual reactive imagery. One of the hallmarks of Mindfulness Therapy is examining the imagery of your emotions, what makes them work. And, of course, when you uncover that emotional imagery you have something very definite to work with, and when you change emotional imagery, you change the emotion. If you would like to learn more about Mindfulness Therapy and you would like to talk to a psychologist online who specializes in Buddhist psychology and the mindfulness approach, then please go to my website and then send me an email and we can schedule a Skype therapy session at a time that works for you. It doesn’t matter where you live, as long as you have an internet connection, we can arrange a Skype therapy session. So, please contact me. Thank you. Skype Therapy Service – Online Therapy Service – Talk with a Therapist online over Skype for effective online mindfulness therapy for Depression and Anxiety, Social Anxiety and Agoraphobia, Addictions, and other emotional problems, including PTSD. This online counseling therapy service is available throughout the USA, UK and Western Europe and world-wide. All you need is a good internet connection and you are ready to start online therapy. Welcome. My name is Peter Strong and I provide online therapy via Skype. Skype Therapy is a very good choice these days, especially if you want to take control of your own recovery process, if you want to learn how to manage your emotions more effectively yourself without relying on medications or years of therapy with a therapist. During the Skype Therapy sessions that I offer I will teach you how to work with your emotions using mindfulness. Mindfulness is an amazingly effective way of working with emotions and also with thoughts. Many people come to me with anxiety and depression and problems with overthinking, basically: chronic worrying, rumination and all forms of reactive thinking that seem to be at the core of their emotional suffering. You probably have experienced this yourself, where the mind cannot seem to let go of reactive thinking and it pulls you down into anxiety or depression. So Mindfulness Therapy is a very, very good way of breaking this cycle, basically, and it does it by teach you how to change the relationship that you have to your mind, to these thoughts and emotions. The main problem is that people are not aware of their reactive thoughts or emotional reactions when the reactive thinking gets triggered. We tend to become totally identified with it. And when you become identified with your emotions and with your thoughts you essentially lose control and they begin to take over and dominates your emotional health. So we we learn to change our relationship to our minds and we do this by actually finding those reactive thoughts and finding the emotions that power those reactive thoughts and then we actually meditate on those thoughts and emotions using mindfulness meditation. So mindfulness meditation in its pure form is about meditating on the mind, on thoughts emotions, beliefs, memories, trauma and all the other components that constitute our mind. It’s a way of becoming the observer of your mind instead of becoming lost in the flow of contents of mind. So this is the primary focus of mindfulness meditation as I teach it, and when you apply this kind of mindfulness meditation to work on your anxiety or depression or addiction or intrusive thoughts you begin to regain control. When you have established the right kind of relationship that is not reactive in this way with your emotions and thoughts, then you can begin the process of healing and helping those emotions change fundamentally so they no longer cause you emotional suffering. You can break free from your anxiety, you can break free from your depression, once you start developing a conscious mindful relationship with your emotions. So if you like to learn more about Skype Therapy using mindfulness then simply go to my website and email me and we can schedule a Skype Therapy session. People like therapy via Skype because it’s so convenient. And it’s definitely more comfortable for you, the client. It is more focused on empowering you, on teaching you practical methods to work with your emotions. It is less clinical in nature and it does not advocate the use of medications. Medications do not treat the underlying psychological cause of anxiety or depression, medications simply provide a temporary and often not very effective, relief from the symptoms of anxiety and depression. What we want is to get to the heart of your emotional suffering. We want to heal the underlying cause of your anxiety or depression and that’s the whole focus of Mindfulness Therapy that I teach online over Skype. So if you would like to learn more simply go to my website and if you’d like to schedule a Skype Therapy session with me then send me an email. Thank you. Discover how mindfulness training can help you better manage anxiety and depression. Talk to a Therapist Online using Skype for highly effective online mindfulness-based therapy for Anxiety, Panic Attacks and Depression, Social Anxiety Disorder and Agoraphobia, OCD and intrusive thoughts, Addictions, PTSD or any other forms of emotional stress that do not require medical treatment. Email me to discover more about this online therapy service and to arrange for a online therapy session with me. Welcome! My name is Peter Strong and I am a professional online therapist and I offer Skype Therapy for help with anxiety, depression, addictions and other emotional problems. Skype therapy is extremely convenient as well as very effective, especially for working with anxiety; in fact, most of my clients come to me to learn specific mindfulness-based methods and techniques for working with anxiety – and this is something that I have been offering, now, for many years. I see people throughout North America, as well as in Europe; particularly the United Kingdom, of course, and people really enjoy the mindfulness therapy that I offer through Skype. If you would like to learn more about Skype therapy, do please go to my website and email me and ask any questions you may have about Skype therapy and about Mindfulness Therapy and what to expect and how it can help you specifically with your anxiety or depression or addiction. Generally, during these Skype therapy sessions, we focus on the primary cause of your emotional suffering, which is always in the form of habitual emotional reactions. These are automatic reactions that you have learned over the years, that get triggered by events, whether external or internal, that trigger an emotional reaction. For most of us, we are not aware of this habit, basically, in which these emotional reactions or negative thoughts get triggered, and really, the first part of mindfulness therapy, which is what I will be teaching you through Skype, is learning to break these unconscious habits; it’s learning to see the exact process at work: What are the triggers and what are the emotions that get triggered? This is quite important because the actual problem is not in the thoughts or emotions that get triggered, but the fact that we don’t see them; that we become blindly identified with those thoughts and emotions that arise in the mind after being triggered. We literally lose our identity and take on the identity of the thought or the emotion – we become the anxiety, we become the fear, we become the depression. And this is the central problem – right there – it’s called Reactive Identification. So, the trigger stimulates a thought or other emotional reaction in the mind. Then we become identified with that thought or emotion. And then we become captured by that thought or emotion and we react, and that simply feeds the underlying habit and makes the emotion stronger. Learning to break this habit is the most important thing you can do and is the first step in Mindfulness Therapy. So, Skype therapy is a very good choice if you want to actually change the process that is causing your anxiety or depression or addiction. So, please go to my website, learn more about Skype therapy, learn more about hoe Skype therapy can help you overcome anxiety, learn about Skype therapy for depression, and Skype therapy for recovery from addictions. And, then when you are ready, simply contact me, email me and tell me about yourself and I will be happy to explore with you and explain to you how Skype therapy and the mindfulness therapy approach can help you with your specific needs. So, please EMAIL ME NOW. Is Skype therapy covered by insurance? Most insurance companies do not yet cover counseling of psychotherapy delivered via Skype. This is primarily due to HIPAA (Health Insurance Portability & Accountability Act) privacy laws which limit the exchange of patient medical records between Insurance companies and service providers. Since I do not work with insurance companies and do not use or generate medical records, my services are not covered or restricted by HIPAA laws (See: https://searchhealthit.techtarget.com/definition/HIPAA). Looking for Skype Therapy for Anxiety & Depression? Where can I go for Skype therapy?